Gorgeous Must see 20 acre property located in the private community of West Powell Butte Estate. 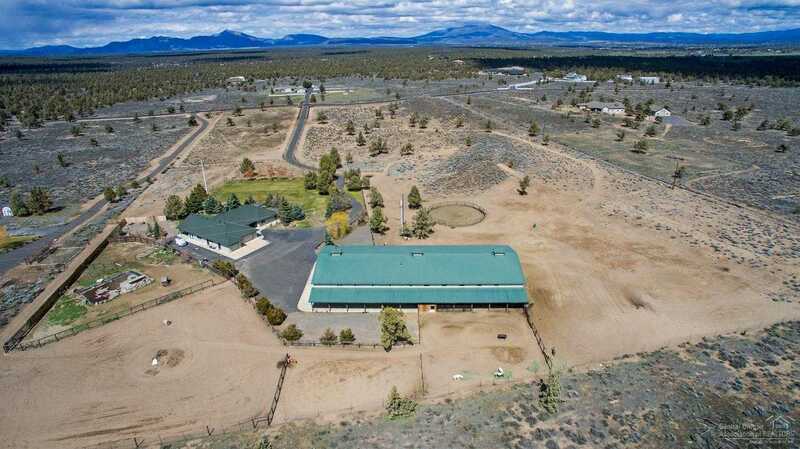 There is a 3071 sq ft single level home, 2000 sq ft ADU attached to barn which measures 84×144 barn, 20×36 heated shop, 72 x 60 indoor arena all while backing BLM land for all your horse and motorized fun ! Cascade Mtn Views, two living areas, 2 fireplaces, large master, Formal dining as well as big open kitchen with breakfast bar you will have all the space you need for your indoor and outdoor entertaining. Cross street: SW Mt. Bachelor Dr. Please, send me more information on this property: MLS# 201902691 – $775,000 – 18030 Sw Mt Adams Loop, Powell Butte, OR 97753. I would like to schedule a private showing for this property: MLS# 201902691 – $775,000 – 18030 Sw Mt Adams Loop, Powell Butte, OR 97753.